People of Karnataka are known for peace and harmony, have been witnessing for the first time the most heinous ceimes and cowherdly acts perpetrated against Christians by Bajrang Dal supported by RSS Parivar including the ruling Bharatiya Janata Party! Statues of the Messenger of Peace is crucified once again by the communal bigots! The nuns who always engage themselves in praying for the world peace in their secluded prayer halls are being dragged out and beaten brutally! 75 year old senior nun and children of 10-12 years too are not spared! Walls and floors and roofs of the places of worship and school buildings are stained with the marks of blood spilled out from their bodies! Those who came out to streets to protest these violent attacks have been lathi-charged by the police! This communal aggression was started on Sep.14, 2008 and is still continuing un abated! Why this hatred against Christians ? The communal outfits such as Bajrang Dal and their leaders allege that the Christians are forcibbly convertinng the poor people. These so-called Hindu leaders have defended the attacks openly and also declared they would continue to support such attacks! Look at thjeir audocity! How can they arrogate themselves the responsibility to protect Hinduism and authority to attack other religious followers? Did the Indian Constitution gave them the authority to punish others by taking law into their own hands? Are we living in the land governed by the civil government or hijacked by the goondas? What prompted these evil forces to raise their heads? It is the BJP Govt. of Karnataka and its Chief Minister and Home Minister who are directly responsible for the communal carnage. If the Chief Minister declares in public that he would not ban Bajrang Dal and Sre Ramasena, then who can control such social criminals? And it is but naturalthe police officials under such Chief Minister behave like RSS activists! It is now the part of history that the Uttar Pradesh, the country’s largest state, was engulfed in communal violenceduring the time of Babri Masgid demolition. Uttar Pradesh was the headquarters of RSS. But what has happened today there? Bajrang Dal, Vishva Hindu parishad and all such communal outfits are on their death bed today! Hoe it happened? 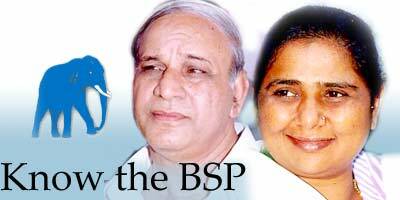 It is the result of effective and powerful administration of Iron Lady Bahen Kumari Mayawati Ji! Whereas look at Karnataka which is thriving on Ventilators! The Chief Minister and Home Minister are themselves the senior activists of RSS who obediently follow orders of RSS! If this is the plight of Karnataka, who can save religious minorities, the original inhabtants of Jambudvipa, thet is the Great Prabuddha Bharath and the helpless poor? State Secretaries: V. Muniswamy, Laskhmi Gopinath, Velu, Ramanath Hegde, Venkatesh Mourya, Ismail Shariff, Nahida Salma. 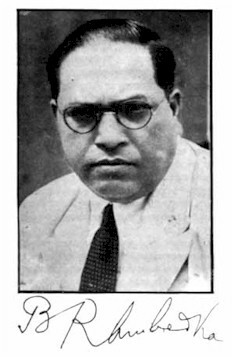 BT Srinivas,President CV Raman Assy.Const. named, told IANS here Tuesday. Party (BJP) before the general elections next year. The Left parties discussed the matter and rejected Bardhan’s announcement, he said. Alliance (UNPA), would stage protest Sep 25. They will protests the India-US nuclear deal and the Manmohan Singh government’s foreign policy. the Left parties in Uttar Pradesh in the coming Lok Sabha elections. (thugs) should not be allowed a free hand’. The security agencies should have enough evidence before suspects were hauled up. the Director-General of Police — while handling a case. should an issue which required her immediate attention arise. Ms. Mayawati warned the officials of strict action if her directives were not followed. with the possibility of a communal riot. Only the guilty should be arrested, and trivial issues, which could lead to communal violence, should be nipped in the bud. LUCKNOW: Uttar Pradesh Chief Minister Mayawati on Sunday derided the attempts to target Muslims in the name of terrorism. acts in Delhi and elsewhere, she said at a press conference. community or any other caste. that the communal forces had become strong. a bid to maintain communal harmony. had brought disrepute to the State, vis-À-vis terrorist activities. took the lid off the fake currency racket in the State. against the arrest of Abu Bashar, she pointed out. At the same time, no leniency would be shown to the terrorist elements, she added. Greater Noida: The Uttar Pradesh police will set-up a special cell here exclusively for tackling industrial disputes. “This Industrial cell will be headed by an official of DySP rank. industrial issues,” SSP R. K. Chaturvedi said.